Migrants gaining a better understanding of various aspects of New Zealand will enable them to integrate better in to their newly adopted society enabling them to contribute better to the progress of our country, a Minister of the Crown said. Ethnic Communities Minister Peseta Sam Lotu-liga said that people from various parts of the world choose New Zealand as their new home and arrive here with the hope of leading a better lifestyle in a peaceful and harmonious environment. “It is important that they understand our culture, communities, cuisines, business practices, rules and regulations and feel that they are welcome to their country of choice. We should enable them to achieve their objective and benefit from their skills and talents,” he said, speaking at the ANZ Migrant Expo on Saturday on September 5, 2015. 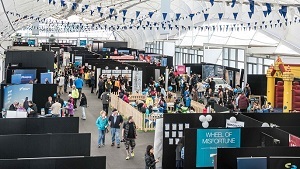 More than 120 exhibitors participated in the third annual exhibition, making it the biggest in the series and with more than 12,000 visitors, it was also the largest one-day exhibition of its type conducted by ANZ Bank. ANZ Migrant Expo was held at The Cloud in the Queen’s Wharf in Auckland’s Central Business District at which Inland Revenue, Office of Ethnic Affairs, New Zealand Police, recruitment agents, investment companies, immigration advisors, educational institutions, real estate agents, food companies, travel and tour agents and media (including Indian Newslink) were among the participants with their stalls featuring products and services. Mr Lotu-liga, a Samoan by origin, said that migrants were growing in size, nationality and cultures, enhancing New Zealand’s status as a global destination. “Many of us migrants choose New Zealand because this is a country known for its religious and social tolerance, peace and harmony and goodwill and understanding. The next decade will witness larger number of migrants claiming a significant percentage of our population. Migrants with dreams and skills and it is our duty to make their dreams come true and put their talent to the best use. Events such as the ‘ANZ Expo’ help our new guests feel at home and settle down well so that they can bring up their families well, provide better education for their children and pursue their careers with greater success,” he said. Earlier, welcoming guests, ANZ Customer Segment and International Banking Head Eric Chuah said that that the ANZ Migrant Expo has become an important annual event for migrants and for organisations serving them. “We established their activity to provide professional and useful information to migrants to settle into New Zealand, set up a platform for migrant business owners to profile and grow their business and work with key government agencies, ethnic communities and business partners to provide necessary support to new migrants. “With ANZ’s parent company having a presence in 34 markets around the world, together with ANZ New Zealand, it enables migrant customers to open a new ANZ account and have their financial affairs in order before moving to New Zealand. As the largest bank in New Zealand, we understand how connecting migrants to the right people and services can make establishing themselves in New Zealand easier,” he said. Mr Chuah said that ANZ has a dedicated team providing a range of products designed to meet the unique needs of migrant customers, and a network of specialist branches that have the skills and local knowledge to help migrants establish and manage their banking in New Zealand. 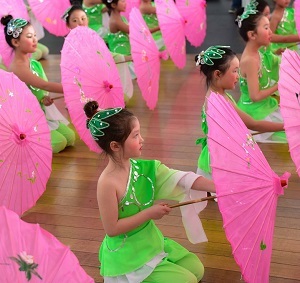 “ANZ welcomes new migrants, settled migrants, or anyone who would like to connect with migrants to attend this free expo,” Mr Chuah said. The Bank’s Retail & Business Banking General Manager Andrew Webster said that ANZ had a wide range of products to serve all ethnic communities in New Zealand and provide them with global connections. Cassandra Lee, Peseta Sam Lotu-liga, Andrew Webster, Dr Parmjeet Parmar, Eric Chuah, Smita Kanwar at the official ceremony of ANZ Migrant Expo 2015 on September 5.